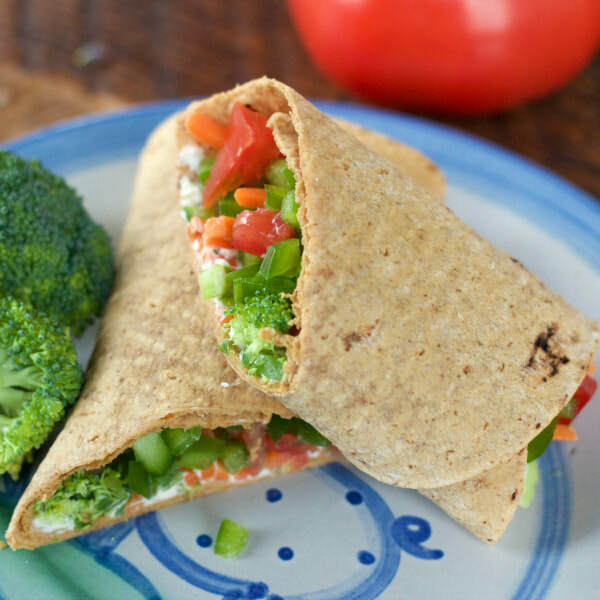 Cream cheese is a very versatile condiment that goes well with all sorts of vegetables. It adds some extra protein and flavor. Try our Veggie Pinwheels for a similar recipe. Not sure you'd like this recipe with cream cheese? Try using hummus instead! In a small bowl, stir ranch seasoning into cream cheese. Spread cream cheese mixture onto both flour tortillas, staying one inch from edge. Sprinkle vegetables over cream cheese. Roll each tortilla tightly. Cut tortillas in half or into slices and serve.